AveryJ, I politely disagree with you. There's a mix of Greek and Roman alphabets in this card and nobody focused on this Jack and Zodiac trait until this month....ever. About this time period, Jack (who looks to be Z) was not stoned out of his mind and fairly sober, so theoretically, the handwriting is slightly different due to a sober writer. Thanks for posting and it's nice to see this board awaken yet only slightly from it's deep sleep of lurkers and non-posting members (website numbers are good!). My understanding is that this letter was considered a hoax by LE when it surfaced, coincidentally one month after Graysmith's first book came out in February 1986. Sometimes I think we look way too deep at something when it was never meant that way. Z has been analyzed by amateurs and experts for well over 40 years. I strongly believe Z did not put as much thought into his actions as many people think he did. I've been following the case since its inception and lived locally when Z was active. Literally hundreds of experts were involved in tracking the elusive killer when the crimes were hot, not stone cold like they are now. Over 3,000 suspects were checked out. Imagine, on MysteryQuest, the hosts were looking for "touch DNA" all these years later at a couple of the murder scenes. It just ain't gonna happen. Sorry for being a skeptical realist! Hmmm??? Here's some food for thought people: the cross/circle symbol could also look like a representation of the world map of latitude and longitude with just the Prime Meridian and Equator Zero lines and Seguin, Texas is 97.9 Degrees Longitide which means the Tarrance Property, could be 100 plus or minus degrees Longitude. Latitude and Longitude are represented by Greek letters and Longitude looks like an upside-down Y: called lambda. Latitude is Phi and I can't describe that Greek letter (a sguiggly g?) THIS 1986 letter has -100+ next to the cross/circle symbol. How coincidental NanetteB, you post about an inverted y and a g here!? I have been busy trying to understand radians, meridians, mapping and cooridinates, locations....and I came across, out of all things that Seguin, TX is basically at the 100 degrees longitude. IMO Jack as Z put some mapping coordinates in communications! And the authenticity of this letter is still questioned? NanetteB, I'm going to hazard a guess that the Y&G you mention regarding the Steel may have to do with Datum Points (high rises/buildings, things at above sea level) that I think have to do with Latitude/Longitude but from a vertical level? Yep, I have been studying! Well, now I want to look at all the Z communications and see if I can find and/or understand the Lambda and Phi which are Longitude & Latitude and if Jack put the coordinates in the letters. I have some interesting things going up at the ABCs thread today. It's a small work in progress. I can't understand the Radians angles that well, yet, but when it comes to locating and maps and a bit on Lat/Longitude, I have some comprehension there. My Seaman daddy had me reading roadmaps when I was 7! True! He could navigate in the open waters without problems but got lost on land when vacationing! LOL, he was depending on his kid at night to find his way out of Louisiana while everybody else was asleep! Anyway, back on topic. I think this letter has a Phi in it and IMO, it's in place of the "y" in BY (the freeway). Did Dennis ever see Jack write or print with his left hand? The holes I was talking about were mentioned on one of the blogs. Holes in the yard. I know where they will dig if they dig but the holes will not be visable to the public when they are through I am pretty sure about that. Hey all! I am gonna go out on a limb here and say that the -100+ is the general location bearings of the 100 degrees Longitude that spans throughout the midwest to Seguin, Texas and beyond and that proof that helps link Jack to Zodiac was buried there. I wonder if Jack kept moving items such as IDs as he moved and placed them permantly at the Seguin property. Thanks for the post Cricket1090. I also find the inverted y and g of great significance since you put it that way.... We know that this symbol was used on the steele where JT worked in the 60's for GE, and it plays into greek symbolism somehow. If we could figure some sort of reference points for the dots we might have the key to something. Suppose the g + inverted y describes the 0 degree points of latitude and longitude, could the dots be reference points to other victims? OR complete the location where JT could be found? Alphie? Where in the world did you dig this up from? It's GREAT! I haven't finished reading it but the moment I started scrolling down and skimming the pages with my eyes, I thought of "National Treasure Book of Secrets"! alphie, you should change your moniker to Riley Poole! Only Riley Poole would come up with something like this! I have seen that movie about 50 times this year! I love it! It's surpassed my favorite movie of all time: Crocodile Dundee by a mile. Anyway, great link and I am looking forward to finishing reading it! Dennis, the hypnosis symbol of Jacks...was Jack interested in things like the 19th c. Theosophical Society and Baseball? I was going to put this question in the old thread on his hypnosis symbol but didn't want to bring that little used old thread to the top. Anyway, it came to me out of the blue, to check radians and the occult, well, Abner Doubleday's version of Baseball appears to be three quarter radians (the Baseball Diamond) and when adding a 4th quarter radian, you get a full circle. Doubleday was in the Theosophical Society which practiced hypnosis. Since Baseball is Americas Favorite Passtime and Zodiac researchers/investigators have believed that Zodiacs favorite passtime was hunting people, thus it was a game and Z would put how many he did and police side (of the game?) was always zero as they couldn't hunt Z down? I know that these may be weird questions but they came out of the blue for me and maybe this might help shed light on the inner workings of made Jack tick? Thanks. edited: my radian math is wrong but the baseball diamond, I believe, is 3 radians? Somebody help me here! Any mathemeticians reading this thread? 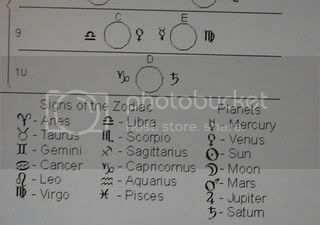 NanetteB.....I am wondering if these are positions/locations found by using the stars and constellations. One can pinpoint their bearings by using the stars/constellations. Sextants aiming towards the heavens were and are used to get ones bearings out at sea. SO, just another avenue to go down, I think, and see what significance the Cancer/Moon, etc might actually mean. NanetteB, I posted an answer at ABCs thread. I don't want to distort this thread with the visual pictures. Hey,....I am from hippy-ville USA (San Francisco) and grew up around the metaphysical stuff! The find was a breeze! [IMG][/IMG] You can take it from here, NanetteB! 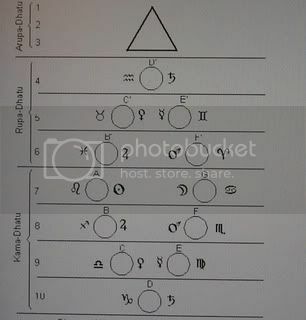 edited 10:05 PM PST I see we were missing the Zodiac Compass, so, I hope this visual representation helps everybody! 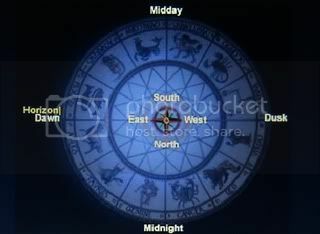 Just a quick thought....maybe by switching the Zodiac Compass around to North South East West and place that over the Mt. Diablo Meridian/Baseline, we get something that relates to actual locations?